This is a very cozy inn, although far from Pittsburgh. 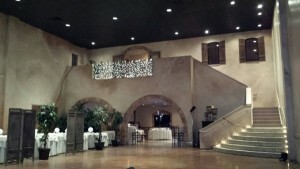 We played here with two musicians, violist and a cellist at a wedding ceremony. I was surprised by seeing the number of people attending this wedding at such a small place. The wedding was outside by the pool, with at least eighty people in attendance. We played inside a small gazebo – it was a bit tight but we managed it with the help of very enthusiastic staff who very constantly battling the wind and using pumpkins and duct tape to hold down the runner for the bride to walk on! A unique place south of Pittsburgh with good acoustics for string instruments and very efficient staff to work with. We played here as a string quartet for a double event: it was 50th wedding anniversary, and a grandmother’s 90th birthday. It was a very familiy oriented place, with nice people, good food and many smiles for us! In memory of April 4, 2009…. This was probably the most emotional event for our musicians. We played here in April 2009, when the bodies of three police officers, Sciullo, Mayhle, and Kelly who were shot by Poplawski were laid out here for people to pay their respects. My husband who is a police officer himself, was on guard duty where the bodies were. This was not a regular paying job for us. Less then twenty four hours before the bodies were laid out my husband got an approval for us to play. Starting at about nine at night I began calling violinists, violists and cellists, asking everyone to donate their time to play for the officers. Some musicians would come in and stay for an hour, some for more. Since my husband was there as it is, I played all day. So did one of our violinists – Jami Bale. At first she agreed to play for a couple of hours, then a couple more, then she ended up staying the whole day… Thank you to all who came and played. At time we had a full string quartet, sometimes it was a trio. It was the only thing we can do. Also, thank you to my husband who kept an eye on all coming musicians, showing them where to go, letting them in and out of the building which was not an easy task, considering the amount of public coming through that day. Here is the link to the article in Pittsburgh Post mentioning the musicians. This place is adjacent to Phipps Conservatory in Pittsburgh and we played here as a string trio for a couple of weddings. Very nice, quite setting. Perfect if you have a short ceremony with just a small family. A law firm hired our string trio musicians to play at their branch opening here, in Pittsburgh. I have never seem so many lawyers in one room! I hate to admit it but they were ignorant bunch. Usually when we play around in such small settings, people comment and somehow acknowledge our playing. Here we felt invisible to all of them. We took a five minute break at some point and I think most of it was spent trying to get in the room where our cases were – people simply would move when you ask them, even after several polite attempts. I met a lawyer not long ago who said “…I would rather be a human then a lawyer..” That says it all. After several rehearsals our string quartet performed here music by american composers based on native american melodies. It was very different experience for us, since the music is very different from western classical repertoire. We all enjoyed learning the music and stories behind each piece. I cannot count how many time we played here with string quartets. All the weddings were very big in attendance, anywhere between one hundred to three hundred people. The settings was always very elaborate and people were friendly to musicians. This place is very rich with history and architecture. I think it is not only a hotel but a museum as well, I got a chance to walk around and explore a little bit before our string quartet had to play at a wedding ceremony. Absolutely perfect place for classical music with its’ acoustical range. After the ceremony we were asked to move upstairs on the balcony, where we played for the cocktail hour. Our string trio played here several times for scholarship awards luncheon to children whose parents are employed by the company. Even though it is not a place for public events, it was very welcoming to us, with friendly people who always insisted that we stay afterwards and join them for lunch.